Sudanese police fired tear gas Tuesday at crowds of protesters chanting "Peace, justice, freedom" in the capital, witnesses said, after organisers of anti-government demonstrations pressed on with new rallies. 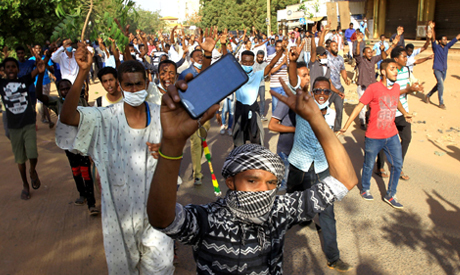 Men and women had gathered in Khartoum's southern business district of El-Kalakla, the witnesses said, but they were quickly confronted by riot police with tear gas. Protesters chanted "Peace, freedom, justice and "We are fighters, we will achieve our mission," a witness told AFP. The Sudanese Professionals' Association that is spearheading the rallies have urged protesters to continue with their near daily demonstrations this week, calling it the "Week of Uprising". Deadly protests have rocked Sudan since December 19 when angry demonstrators rallied in towns and villages against a government decision to raise the price of bread. At least 24 people have died in the protests, which swiftly turned into nationwide anti-government rallies in which demonstrators called on President Omar al-Bashir to step down.